Dragon Metrics can be integrated with Google Analytics. 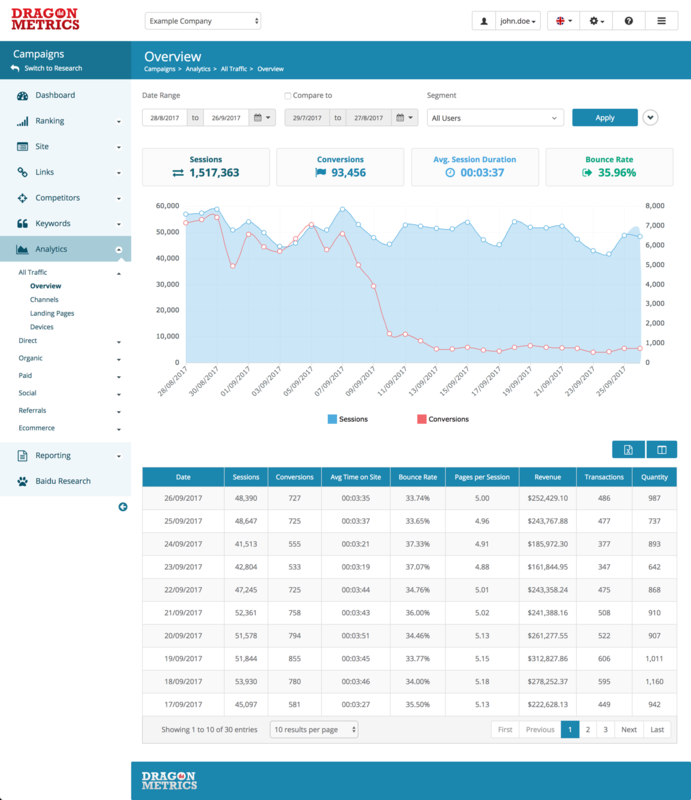 With the integration you will get more reporting options and be able to obtain unique insights combining Dragon Metrics' data with Google Analytics' data. All the analytics reports above are also available as modules in Custom Reports and Dashboard.